Proper installation requires the use of highly skilled personnel who use the industry appropriate tools and techniques. Our team of roofing experts have the capability to complete a roof installation with custom elements to any roof. Each installation begins and ends with Broadway Roofing’s 17-point inspection process. From start to finish, Broadway roofing will value your property as much as you do during your roof installation. Property will be protected. Care will be taken to ensure that your siding, brick, plants and bushes are protected from the removal and installation process. Old shingles will be removed (when indicated) and removed from the property. Every roofing replacement begins with an inspection of existing wood decking. Any soft, bouncy or spongy wood will be replaced. Also, decking will be inspected to be sure that it is attached to the roof rafter correctly. Proper edging and water shield underlayment will be installed to protect any water leaks. This will protect valleys, chimneys, pipe flanges and roof connections from wear. (Asphalt shingles) Roofing felt will be installed to cover the rest of the roof. This prevents shingles from sticking to the wood. High quality roofing felt is always used. For all other reefing systems, proper underlayment will be used per product installed. 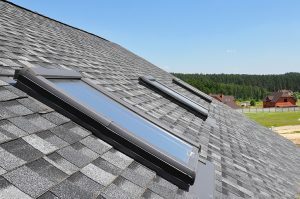 New roof is installed from the bottom up, following specific procedure protocol for a perfect installation. Job site is cleaned up and home is left debris free. Do not hire just any roofer. It is important to be confident that your roofer has the experience and expertise to install the roof that your home deserves…a roofer that cares about not only your roof, but your home and your yard as well. Contact Broadway Roofing for your new roof installation.